Summer is about being outside. Because around here, winter lasts for like nine months. Not even kidding. So when it warms up, we go out. We cook outside, work outside, play outside, sleep outside, and eat outside. Grilling becomes second nature and any side dish that pairs with the dark earthy taste of charbroil, makes for happy tastebuds. This corn salsa makes for especially emotive tastebuds. Because cilantro. Cilantro, to me, takes like summer. Fresh, clean, bright. The more the merrier! This salsa can be paired with a bowl of tortilla chips or served all on it’s own as a side salad. 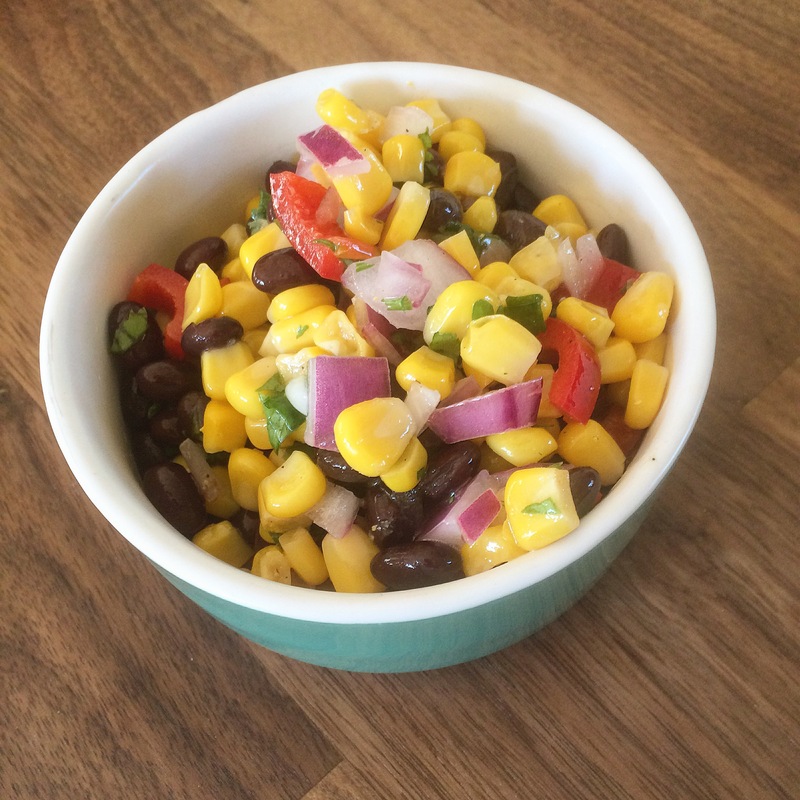 In a large mixing bowl gently blend the corn, onions, peppers, black beans, and cilantro. A soft spatula works best—you don’t want to smash the beans and corn together. Set aside. Mix the lemon juice, olive oil, salt and pepper together in a small dish or dressing jar, and then drizzle over the corn mixture. Stir well to coat and then refrigerate before serving.